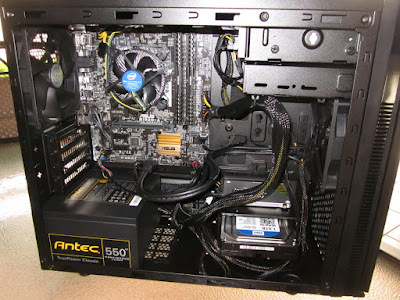 It's a micro-ATX (so relatively small) case aimed at quiet computing. Pictures on the net often make it look glossy, but it has a matte finish. 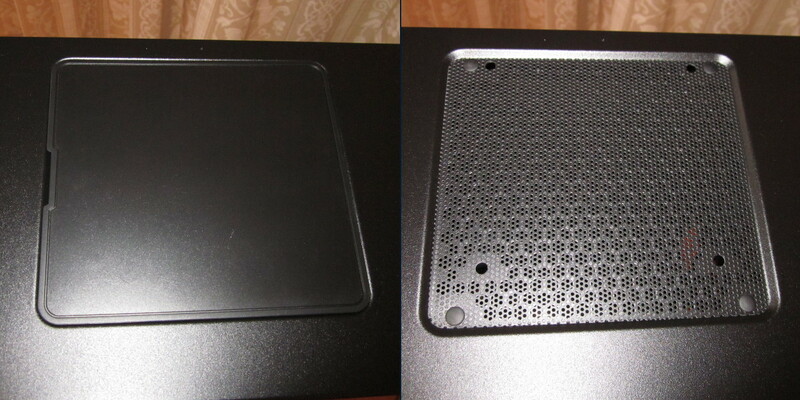 It does show some fingerprints, but not nearly as much as you'd think from some pictures. The side panel had quite a lot of flex to it — the thumb screws were under a fair bit of tension. 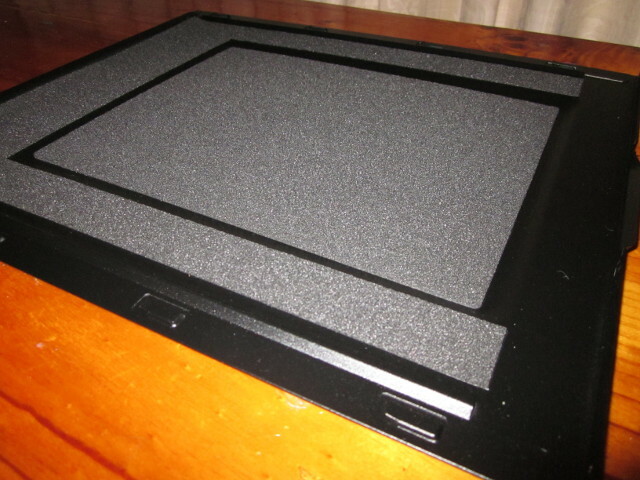 It's a budget case, the flimsiness of some of the material shows in this. The side panel has about 3–4mm of noise-absorbing foam. 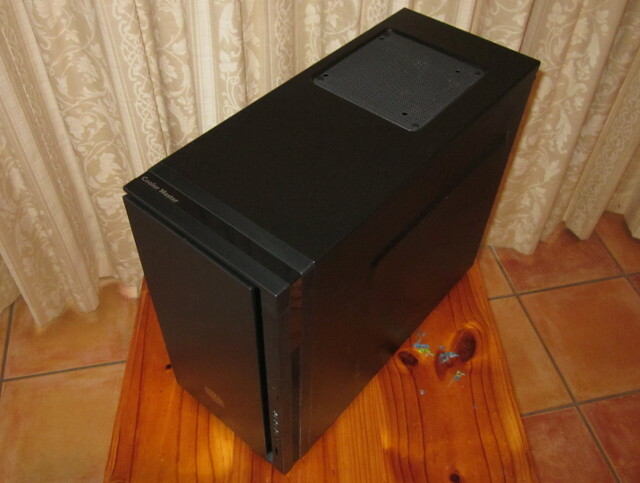 The case is aimed at quiet computing, and it is pretty quiet. You need to be in a quiet room to even tell it's on. However, with only a minimal setup of i5-6600, one SSD, HDD, DVD drive and the PSU, CPU temperature got really high under load, up to 80°C. I'm not sure how it would go with a graphics card in there as well, so I wouldn't recommend this case for a gaming machine. 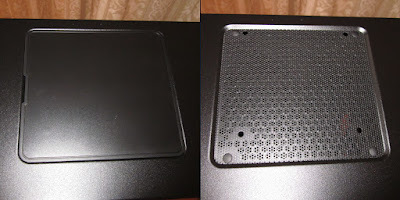 You can remove a panel at the top with an optional fan mount, which might make airflow slightly better. 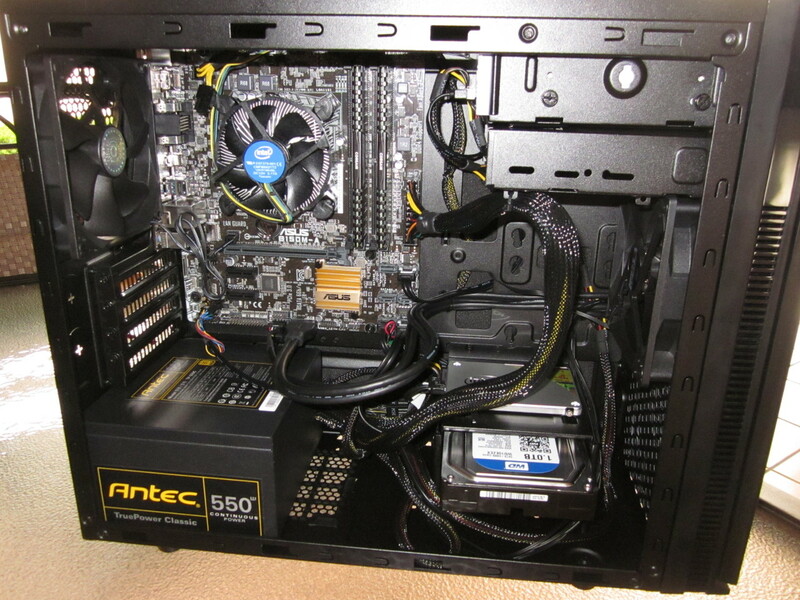 Finally, there is very limited space at the back of the case behind the motherboard. This makes cable management really difficult. But it doesn't look too bad when finished up.